Cons: It is not browser based software. Hence, every client needs to install the client software and interlink the system with the server. Overall: We have been using the software (MODERNLIB - Formerly called LIBASOFT) in our library for the past 15 years. The software is very nice and user-friendly. It has almost all modules required for an academic library and provides necessary reports. Overall, I feel that the software is good. But it needs to install the client software for every client systems. This is the major disadvantage of this software. 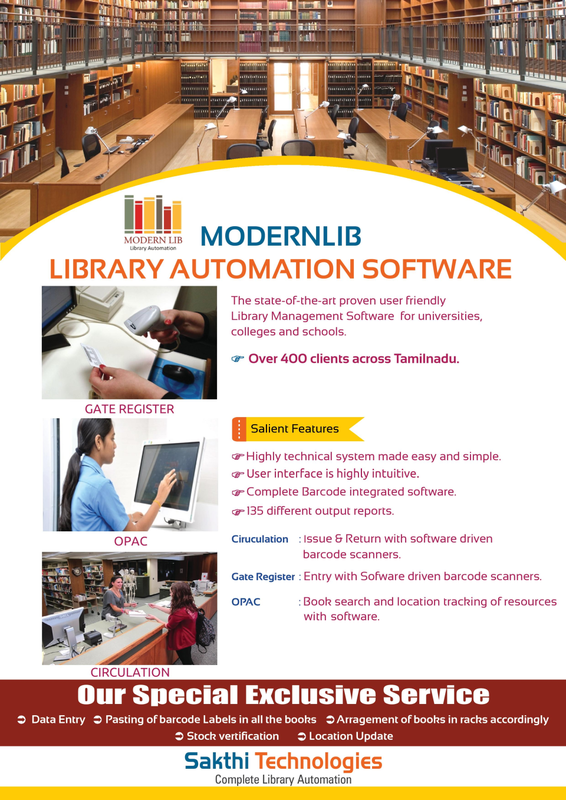 Pros: Library Fully Automation Software, User-friendly and ease to use. Excellent support and more than 150 various reports. Overall: We have using ModernLib last ten years. Till now we have not face a any issue. Pros: It has been developed with utmost care for library use. Cons: It is not web based. Now, the word moves towards web based software and it is not in this kind. WebOpac facility could not be provided. For accessing in client, a client software should be installed and the system should directly get connected to the server. Overall: It is a Library Management Software especially for Automation. I have used this software for more than 10 years. It has been developed keeping in mind the most of the requirement of the library in terms of automation. The major disadvantage is its 'standalone' nature i.e. it will work in the client system if a client software is installed. Overall: Fantastic user-friendly full-featured software with all necessary reports backed up with excellent service support. I have been using it for the past 9 years in my college.